Daniel R. Grace (Brenner), 50, of Springfield passed away surrounded by his loving family on Saturday, March 23, 2019. Born in Chicopee on March 4, 1969 he was a son of William R. and Susan (Dalinksy) Brenner. Daniel was a graduate of Pathfinder High School and worked as a clerk/porter at Big Y in East Longmeadow for 25 years. He was a proud member of the Special Olympics, obtaining gold medals in basketball, floor hockey, and softball. 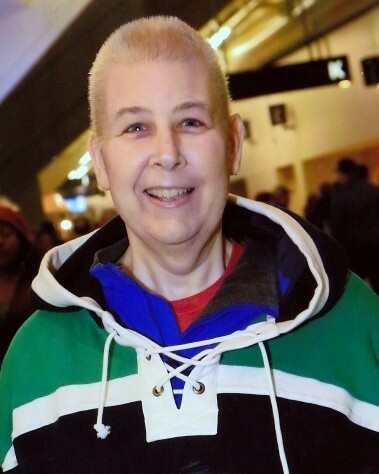 Danny was an avid Springfield Thunderbirds fan, holding season tickets for over 20 years and enjoying the games with his father and uncles. His favorite place in the world was Universal Studios and he loved watching Star Wars. Along with his parents, Danny leaves his brother, William F. Brenner and his wife Kathleen of Wilbraham and Derrick Brenner of Springfield; his nieces and nephews, Casey, Sean, Brett, Madeline, and Luke Brenner; his maternal grandmother, Arline Tetreault of Georgia; and many dear aunts, uncles, and cousins. Danny was predeceased by his paternal grandmother, Barbara Brenner. Visitation for Danny will be held on Thursday, March 28, 2019 from 4-6pm at Byron Keenan Funeral Home, Springfield. His family would be honored if those in attendance would share a special memory of Danny between 6-7pm. Donations may be made in lieu of flowers to the Leukemia & Lymphoma Society, Massachusetts Chapter. For further information please visit byronkeenan.com.